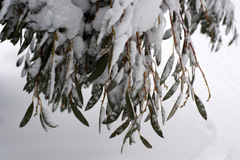 These pages follow the development of Australian skiing from the early history of gold rushes to the Australian Alps that began in 1859, through the early years of skiing as a sport and the construction of the Mt. 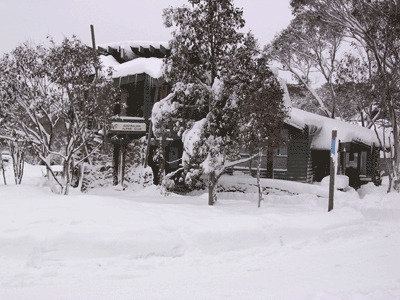 Buffalo Chalet and the Hotel Kosciusko, to the 1940's and early 1950's, when skiing was poised for an enormous expansion that would include the opening of several new ski resorts to cater for this growth in its popularity. Skiing technique and ski technology had improved significantly since the pioneering days of Kiandra (Photo 35) and the Mount Saint Bernard Hospice. More instalments are planned for release. Please email your contributions to the Heritage Sub-Committee. If you have photos (slides or prints) please make initial contact via email and the Sub-Committee will make arrangements to scan them and promptly return the originals. Part 7.1 - Growth of Skiing in Victoria - late 30's to mid 50's.